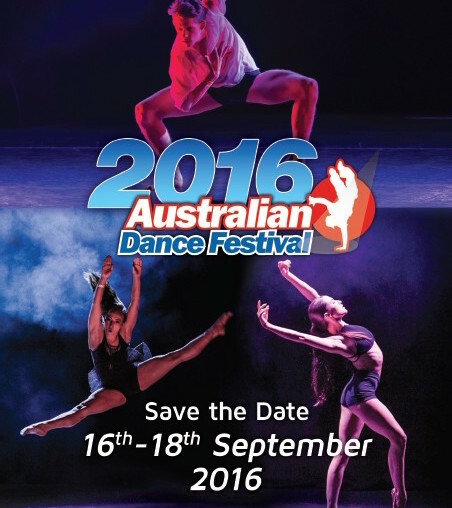 Dancer’s rejoice as the Australian Dance Festival returns to Sydney Olympic Park Sports Centre and Netball Central this September 16-18. An opportunity to celebrate all things ‘dance,’ this year’s festival is set to be bigger and better than ever! With larger dance classes in all styles, dance competitions and a grand showcase of some of the best dance pieces from schools and troops all over Australia, this is truly a highlight on every dancer’s calendar. With a line up of internationally acclaimed choreographers and dancers conducting workshops, the event will also be a platform for ten prestigious dance schools and company to audition for their highly coveted full time courses. Not to be missed is the ADF Grand Showcase on Saturday night as highly anticipated routines are set to sparkle on a world class stage, in a non-competitive environment. Closing the event will be Marko Panzic’s The Dream Dance Co who will be showcasing their newest production The Secret Society. Choreographed by Candace Brown (USA) and featuring many of the ADF’s favourite instructors. Competitions this year includethe Dance Around the World Competition where candidates are hand selected by instructors from the workshops to compete for a trip to LA, 20 classes at The Edge Performing Arts Centre and 7 nights accommodation. For teams, there is Australia’s Best Dance Crew – a unique dance competition where instead of 1st, 2nd and 3rd placements; crews are judged on Most Entertaining, Best Choreographed, Best Costume and Best Technical Performance. “What I find most exciting is how I have seen dancers develop from the first ADF. Dancers who started with us as children performing out our showcases are now performing on international stages in musicals and alongside world-class artists. ADF provided a platform for these grand moves by providing a professional stage to perform on and allowing them to connect with industry choreographers and dancers in a non-competitive environment,” says Angela Lau ADF Director.